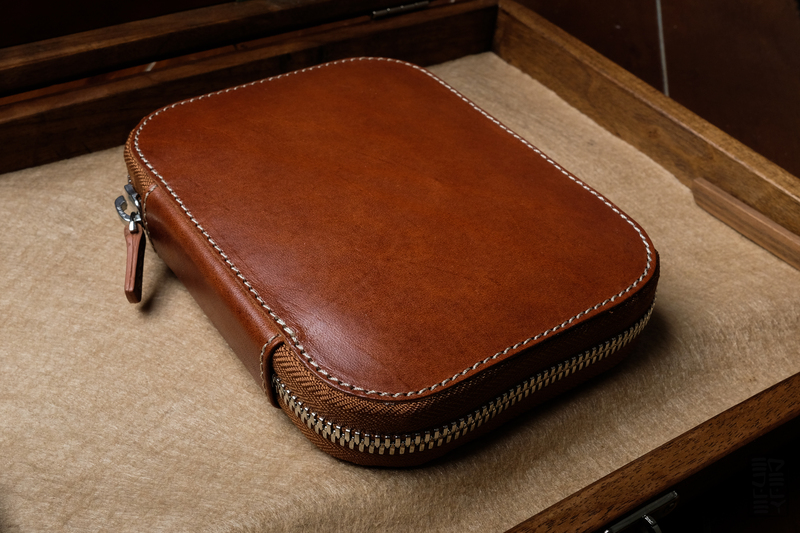 Intro: Galen Leather is a small workshop that creates excellent leather goods and writing accessories based out of Turkey. They sent along a journal cover a while back, and it’s been great. You can check out my review of it here. When they asked if I wanted to check out some of their newer items, I jumped at the chance. In addition to leather goods, Galen is now working with wood. 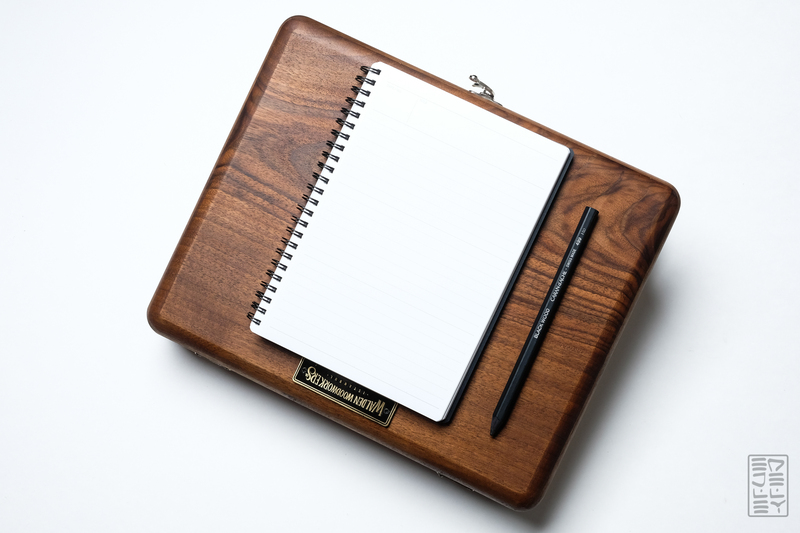 This post is an overview/review of their new “Writing Box” – a wooden case with straps to hold pens, notebooks and other stationery, “Note Board” – a fancy take on the clip board, and “10 Pen Zip Case” – which is pretty straightforward. Let’s check them out! The Writing Box is definitely a unique product. Upon taking it out of the package (which is a really nice printed box – I love the design and presentation) I was surprised with two things. 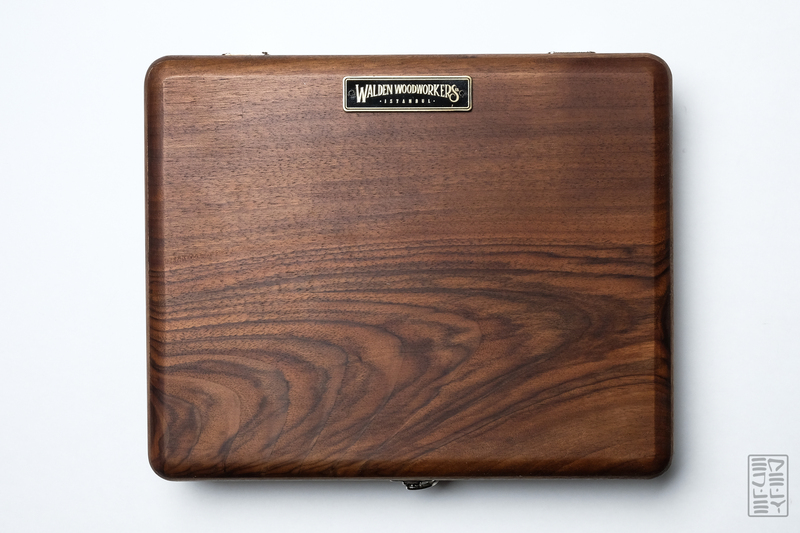 First, it’s impressively made with rich walnut wood. The wood grain has a nice “pop” to it, and the construction of the joints, hinges, and fit are all top notch. Inside the box there’s room for plenty of writing goods. 6 pens, 2 A5 notebooks, and plenty of other small goods held in by way of elastic straps. The outside of the box doubles as a portable writing desk. 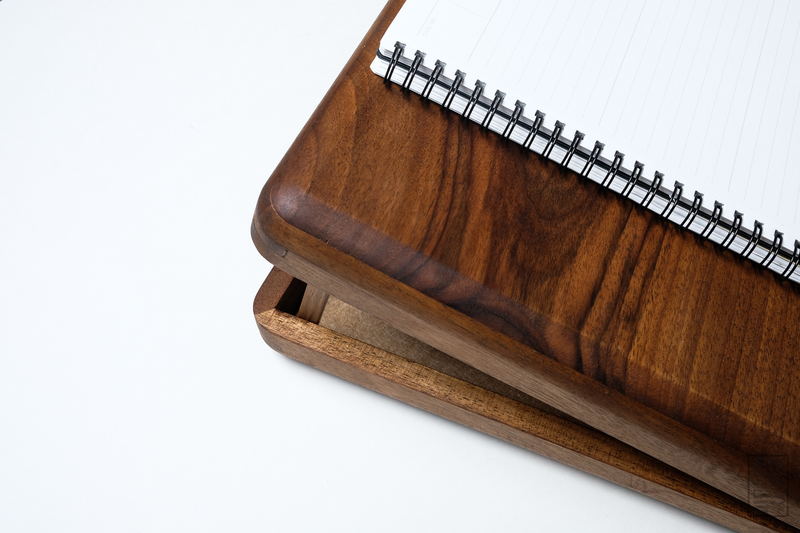 There are two wooden legs that hold the cover of the box at an angle that’s well suited for writing. 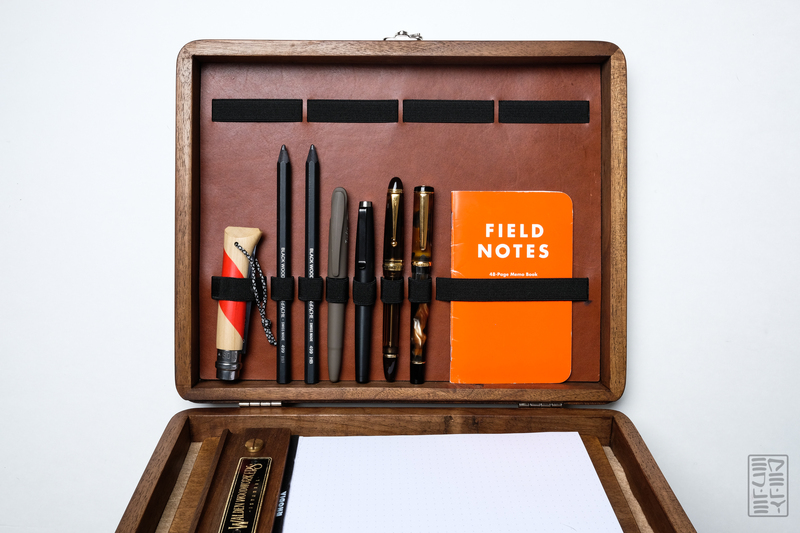 Personally, I don’t see myself heading into the park with a large wooden box under my arm, but it provides a great way to keep the pens and notebooks I’m currently using in one organized place. I see this being filled up with my inked pens and current notebook, and living on the bottom shelf of my coffee table. Galen also makes a leather strap that adds a handle and a more secure way of keeping the box shut, should you want to transport it. 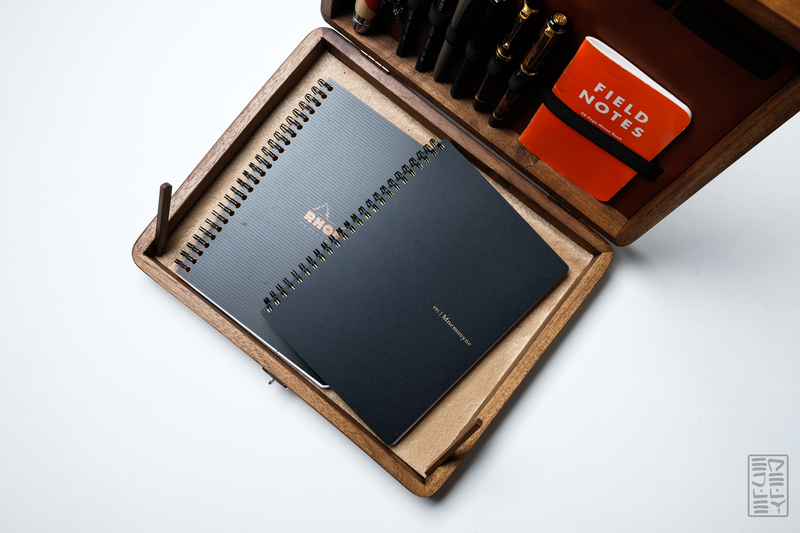 The Writing Box is like a wooden briefcase, it’s definitely a unique product that many will find helpful with organizing their stuff. It will also look awesome on a desk to keep pens and paper safe and out of sight. Learn more and pick one up for yourself here. Next up is the Note Board. It’s essentially a clip board, but much, MUCH nicer to look at. 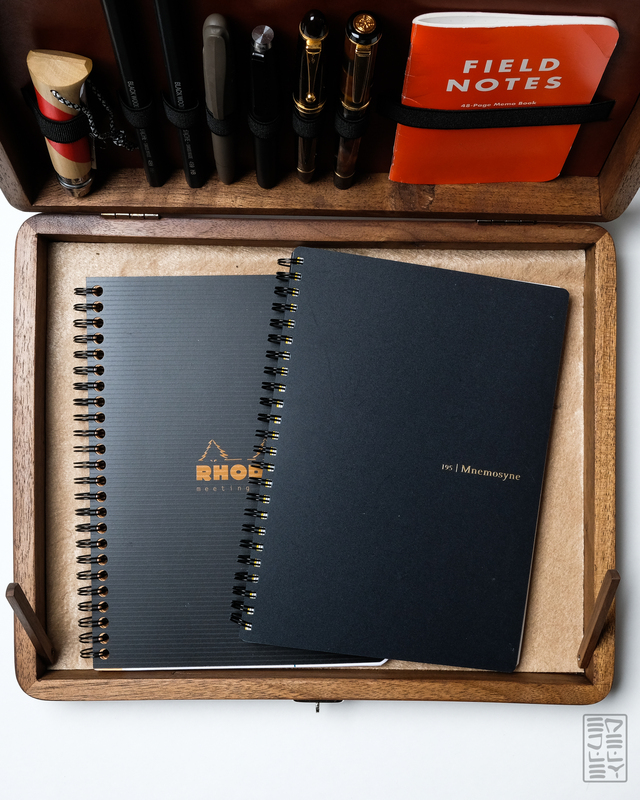 The Note Board was designed around a Rhodia pad (check out the compatibility chart here) and includes a channel in the wood for a pen to rest on. The pad is held in place by two brass screws that put pressure on a wooden plate. 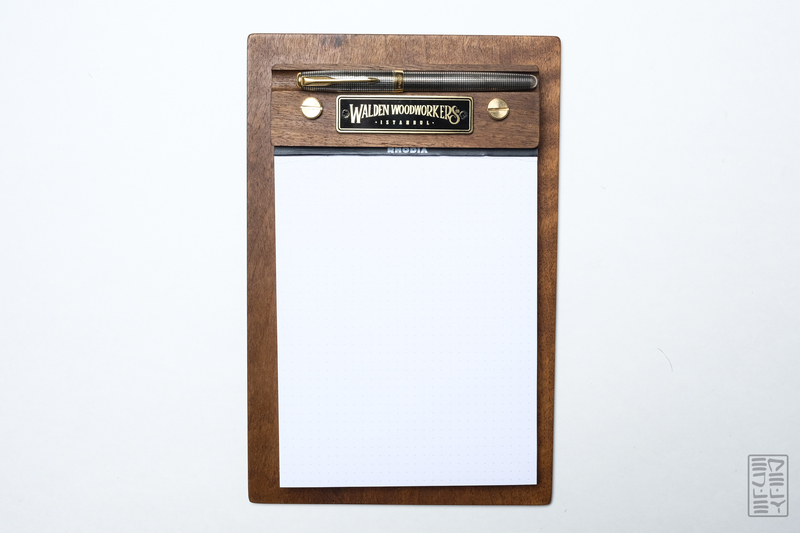 The notebook is securely attached and the board is large enough to provide support when writing on your lap. At the very least, it looks really nice on a desk. 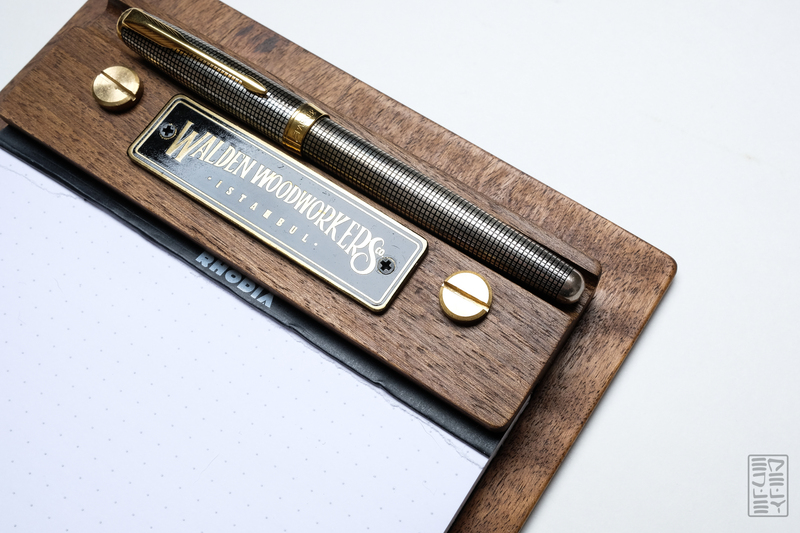 The nice wood grain, brass hardware, and place for your pen to rest result in a nice little accessory. It’s available in both walnut and mahogany.  Note boards are available here. 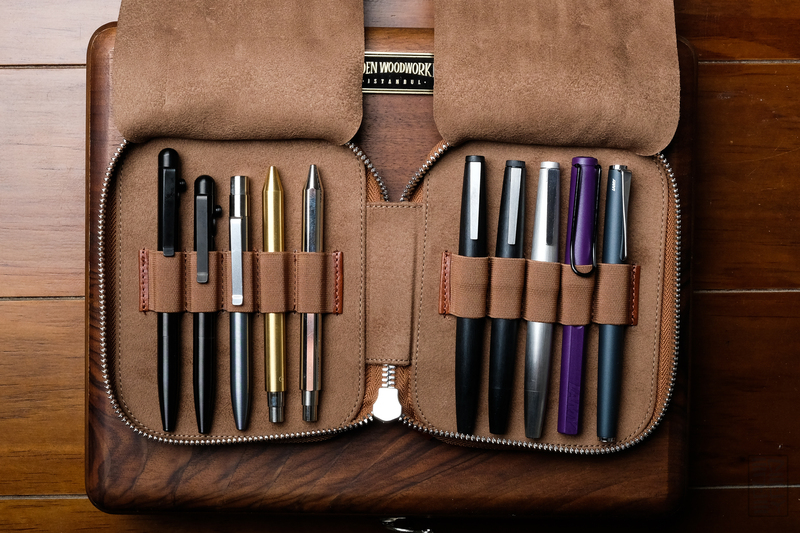 Last, but certainly not least, we have the leather 10 pen zippered case. The construction on this thing is top-notch. The zipper is sturdy, yet still opens and closes with ease. On the outside, there’s a full-grain premium leather. 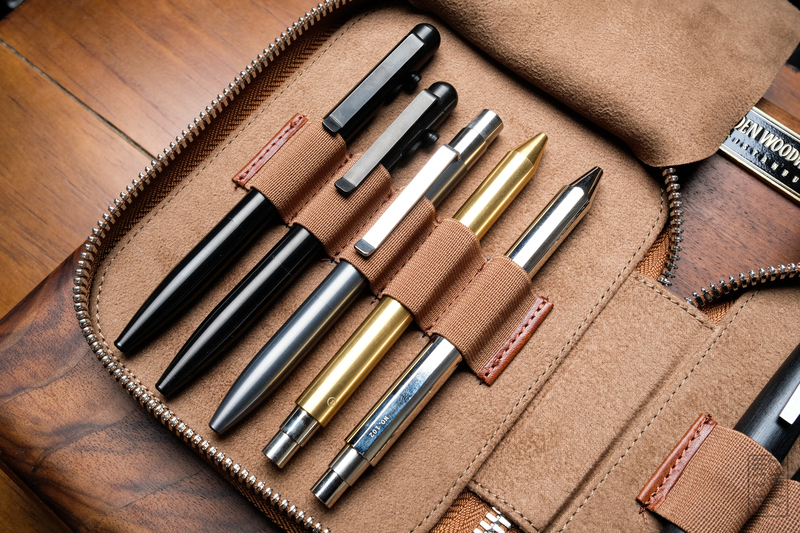 Inside, you’ll find 10 elastic slots that hold pens up to 5.6″ in length. There’s 5 pens on each side, separated by a thick, yet soft cloth. 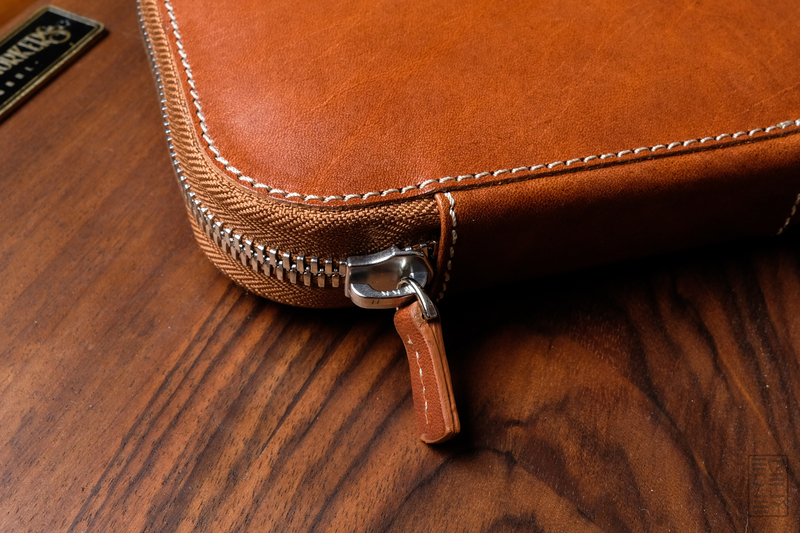 There’s one on each side, adding a nice level of protection for your prized writing instruments. 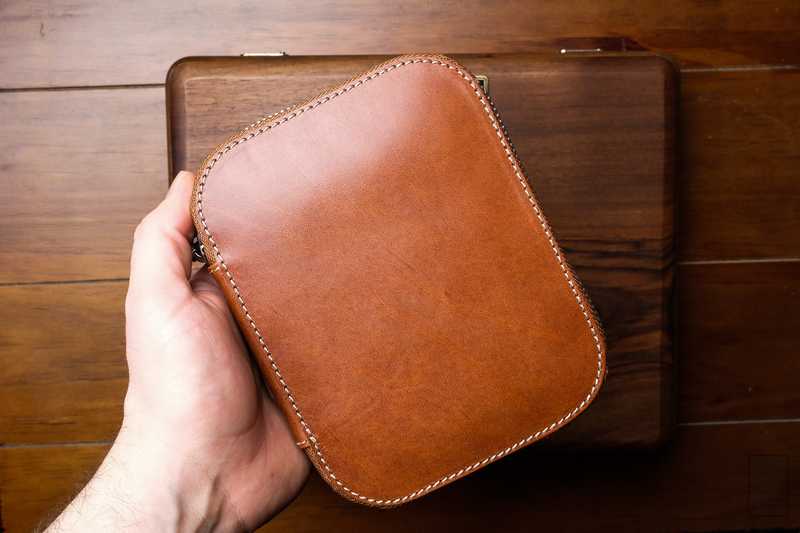 The case is a nice size – not too big and not too small. It’s great for tossing in a bag, or for on-desk long term storage. I’m a big fan of this case, and I believe the $58 asking price is justified by the materials and workmanship present in the case. You can pick one up here. 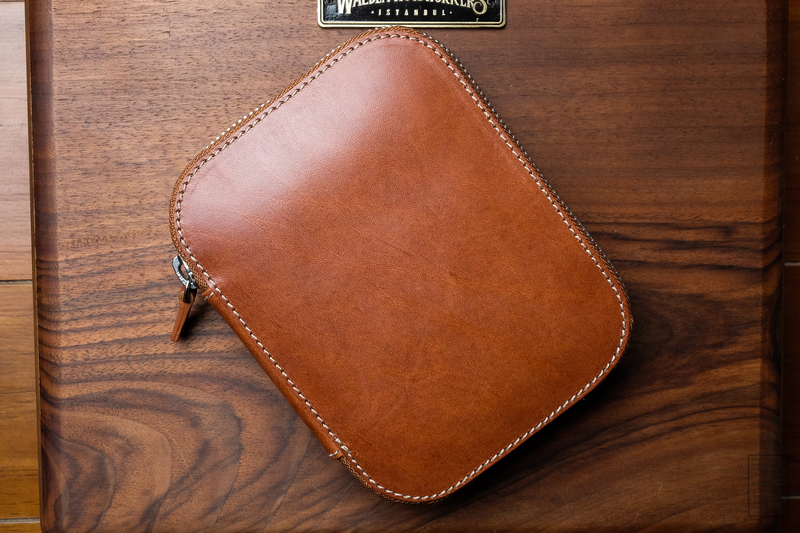 Galen Leather offers a ton of really well made leather and wood goods. I believe their asking prices are on the lower side, especially given the quality. There’s often a promo code in the top bar of their website, making everything even more reasonable. You can check out their entire lineup here. Thanks to Zeynep at Galen for sending this stuff over to check out. I look forward to seeing what offerings they come up with next! The items in this review were sent to me free of charge. Please form your own opinions when reading reviews, especially when items received are free of charge for the reviewer. The Writing Box is amazing, and so are their TN covers. I have bookmarked the site and plan to purchase a notebook cover in a few months. They sure are! I’m sure it’s going to be a great addition to your collection. It’s hard to take your eyes off the Writing Box. Such a beautiful piece of work. It is! I love the woodgrain on this specific example.